This is really cute, I love the "toned down" bow. I've just made the By Hand London Polly top, which I thought was great (and it's free!) Beware though, the neckline is pretty low (I raised it a couple of inches). How nice of Abakhan to send you a voucher. I love what you did with the bow here. I can definitely see you in a Polly top! So cute! I love that top pattern. It's lovely Jane. It's funny how the fabric is so distinctive, I could tell immediately looking at it that it was japanese! So pretty! And I think I recognize those Kwik Sew shorts. Love the outfit! The Sewaholic Belcarra blouse is quickly turning into a staple for me. I just cut out my third one last night. I really liked the original blouse and made one up, which is apparently too small now... but I absolutely love your version! I want one just like this! This is a really nice renovation of a pattern I just bought---was a bit worried about the bow myself, but you have solved this beautifully. You chose gorgeous fabric! This is soooooo cute! Love the toned-down bow! I love the colours in that blouse, it looks so pretty! I've made three versions of New Look 6808 and not put a zip in any of them. Oh, Jane! 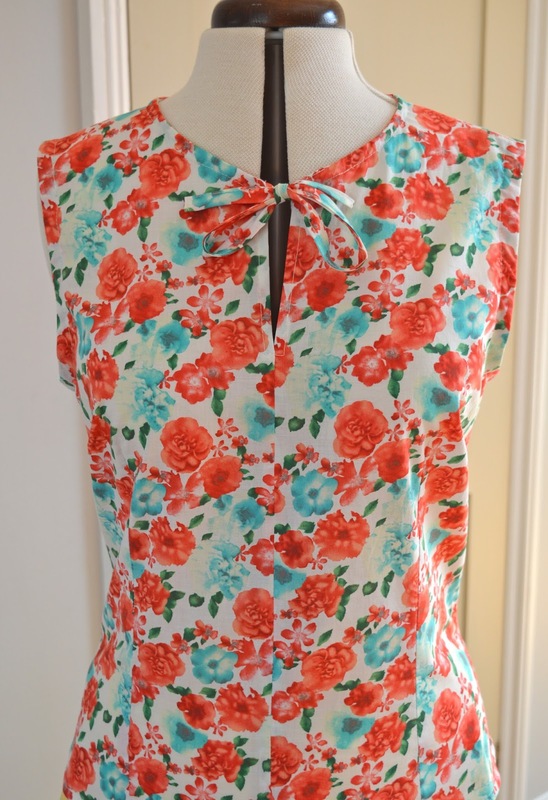 This is such a gorgeous blouse and the fabric is so pretty! I personally love the Sorbetto as it doesn't need a zip and you can make it up in so many ways. Great holiday top! Love the fabric! I love that print and the pattern you chose for it - it has a lovely style that is both vintage and freshly modern. the cotton lawn looks like it would be so light and cool to wear in summer too. nice make! Lovely print! I have made up the silk cami from Sew Over It, alas cut it a size too small so will have to try again. Having said that the fit is lovely and no obvious signs of gaping etc. (despite the sizing error) which is a plus given the lack of darts / zip / buttons!